November 13th, 2015. 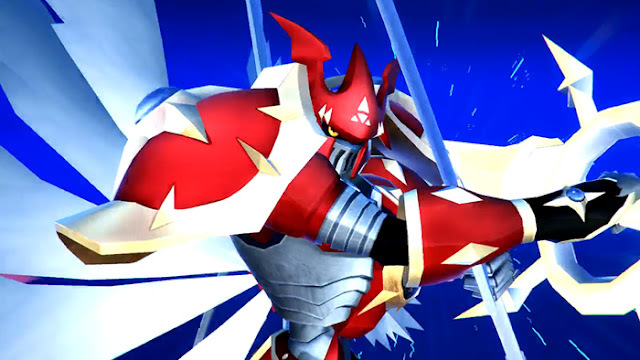 The Japanese Digimon World -next 0rder- title site updated today with another batch of screenshots, showcasing four Royal Knight Digimon, including Omegamon, Dukemon Crimson Mode, Duftmon, and Ulforce V-dramon. 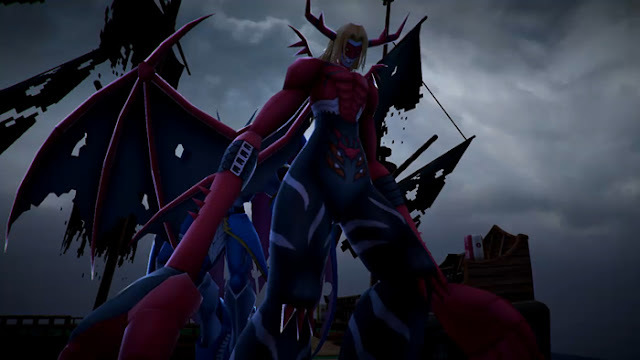 The demon beast Venom Vamdemon also appears, partially concealing Ulforce behind him. Each of these Digimon can be used as one of the player's two partners, per -next 0rder-'s unique twin partner system. Each of the screenshots can be viewed below. Previously, Dukemon Crimson Mode was highlighted in last month's issue of V Jump magazine, and Omegamon in the game's TGS2015 trailer. 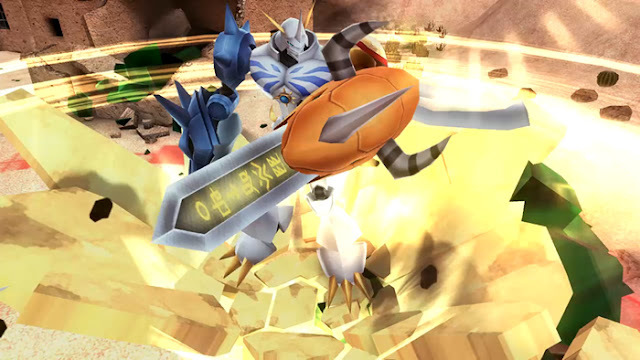 The design for Omegamon used in -next 0rder- matches that of Cyber Sleuth, with a fused crest of courage and friendship embedded in his armor. 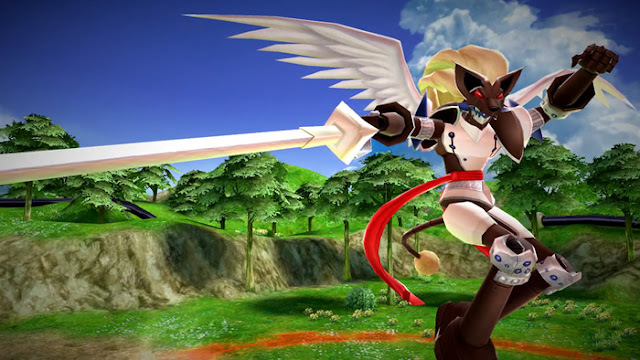 The game's preceding batch of screenshots teased a new messaging system, and showed how the two partners interact in the field. Digimon World -next 0rder- will launch on the PlayStation Vita and PSTV in 2016.